In the following review of Standard Life and Casualty Company, we focus on the company’s history, financials, ratings, products and services. Is Standard Life the right company for you? Currently there are somewhere between 800 – 900 life insurance companies in the U.S. Trying to keep up with every company and its product line is no easy task. At TermLife2Go, we operate as a life insurance “think tank” tapping into some of the top minds in the industry to find the right companies and products to focus our attention on. That is how we can consistently deliver some of the best life insurance quotes and rates. best final expense burial insurance companies. So grab a cup of coffee and take some time looking around. We are sure you will be pleased with what you find. History – Having opened for business back in 1947, Standard Life has been supporting American families for 70 years now but they’ve always had the same principles to drive them forward; competitive products, sound financial management, and quality service. After starting in South Carolina and Rock Hill, to be more specific, Standard Life enjoyed a positive start to business and has been growing ever since. After surviving some turbulent times and less than desirable economies, Standard Life has been rewarded and now operate within 13 different states (mostly located in the south east of the US). Currently, not all products are available across every single state but the business can still be considered to be in the ‘roll out’ stage where the offerings are constantly updating. Eventually, the company wants to have all their products available across every state. Financial – If we compare Standard Life to 25 of the largest life insurance companies in the US, we actually get some favorable results and it starts with solvency. Known as the ratio showing the difference between assets and liabilities, having more assets is always beneficial because it shows financial strength. Across 25 of the largest insurance providers – including MetLife Insurance Co, Guardian Life Insurance Co, Massachusetts Mutual Life, and Prudential Insurance Co – the average amount of assets was $105.31 for every $100 of liabilities. For Standard Life, this figure is at $126.34 which shows good financial backing. Elsewhere, the industry average for liquid assets in 25 of the biggest insurance companies is $48.55 for every $100 of liabilities. Once again, Standard Life excels in this area with $107.02 in liquid assets. Including bonds, cash, short-term investments, and stocks, these liquid assets will make it twice as easy for Standard Life to endure a turbulent economy compared to the other companies around. In total, Standard Life has admitted assets of $20.6 million as well as $100 million worth of insurance in force and this is one of the most important figures of all. With this amount of insurance in force, it suggests a good number of customers relying on the company to stay alive and this means you would be in safe hands if you choose the company too. Whenever we’re looking to get an insight into a life insurance company, we always like to look at the ratings available from a host of official agencies. 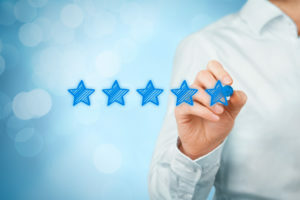 With agencies like A.M. Best and the Better Business Bureau, it makes it easier to compare between companies and judge just how secure the company is within the market and how well they treat their customers. With this in mind, we’re going to focus on these two ratings in particular because this is all we have available for Standard Life. A.M. Best – Unfortunately, despite the positive financials we saw in terms of assets and insurance in force, A.M. Best has actually downgraded their issuer credit rating recently from Fair to Negative. Meanwhile, their financial strength outlook has remained the same for quite some time at B (Fair). With this in mind, it does present some worrying information because we typically say you should be looking for a life insurance company with a rating within the ‘A’ bracket. If the company has B++ or perhaps a less experienced provider is making their way up and sit with a B+, we would suggest they should be given a chance. With these two ratings for an experienced company, you should seriously consider your options. In all likelihood, the company will continue into the future without a worry in the world but we can never predict a natural disaster or a serious hit to the economy. If your main priority is security, you might want to look elsewhere. If we look into the reasoning behind the downgrade in issuer credit rating, A.M. Best says the company has seen an increase in operating losses. In order to cope with this, the company attempted to sell some bonds and this had an impact on their liquid assets. If these operating losses cannot be fixed any time soon, it could be a problematic few years for the company. Better Business Bureau – Sadly, the news doesn’t get any better with the Better Business Bureau (BBB) either as they have given the company a rating of F and this could be for a number of reasons. Firstly, the BBB may have assessed the company to have a score of below 60 points and therefore this falls into the category of F. In truth, this can be caused by numerous complaints, poor business practices, false advertising, and other customer-related issues. However, this is unlikely because very few companies fall below a B or C let alone an F.
Considering the business hasn’t been accredited, it could be because the BBB simply hasn’t got enough information regarding the company and therefore cannot provide a fair score. If you’re worried about the customer service before buying a policy, we highly recommend phoning the company and assessing how easy they are to reach. With Standard Life, we’ve spoken to numerous people who have never had a problem so read reviews, talk to friends, and contact them yourself to get a feeling for the nature of the business. Customer Service – In truth, their ‘Contact Us’ system online is very simple with three different phones numbers as well as a PO Box address in Salt Lake City. If you would like to send an email, there’s a link on their web page that’ll take you straight to the email page where you can discuss your concerns, questions, or whatever you may need. Like so many insurance providers these days, Standard Life and Casualty Insurance offer a number of different products within the insurance market. For example, their Saver’s Bridge Short-Term Medical policy allows up to $2 million in lifetime benefits while the Critical Illness policy offers a lump sum benefit if you happen to be struck down by multiple sclerosis, cancer, paralysis, deafness, blindness, stroke, major organ transplant, coronary artery bypass (only a certain percentage of the value), or a heart attack. From here, the Cancer Protection Plus policy allows security against this huge health condition (which has the potential to change your life) while the 24-Hour Accident Plan allows you to choose coverage for yourself or family members and the option to choose your own medical professional and facility. If you have not considered disability insurance you should be aware that your chances of being disabled before retirement are much higher than your chances of dying. Unfortunately, most people have no idea of the benefits of disability insurance. The Standard offers both short and long term DI insurance. The Company’s short-term disability insurance coverage allows a benefit income payment of up to 70% of one’s income as well as a benefit period of up to one year (with different length options in between). Even more advantageous is individual long term disability insurance coverage which provides long term income replacement if you are totally or partially disabled. If you’re more interested in insuring your life rather than just against disability or illness, Standard Life and Casualty Insurance Company has two main policies on offer and it starts with LifeGuard 10. LifeGuard 10 is a level term life insurance policy and it automatically comes attached with a Critical Illness rider. As a ten-year policy, your premiums will remain guaranteed for the duration of the policy and you can remain protected while your children are in college or as you pay off your mortgage. As the second policy on offer, this is a whole life policy that builds cash value and one that’ll keep your premiums steady in the months and years ahead. As long as you sign the dotted line to get the policy started and then pay all premiums as they’re due, your policy cannot be cancelled for any reason. If you need a loan as you get older, you can actually borrow from the company using the cash value as collateral. Face amounts up to $50,000 are available. Further, this policy is available as long as you’re under the age of 85. In terms of premiums, the life insurance rates are competitive for both and the cash value in the second policy will continue to increase without having to worry about tax. Furthermore, there’s also no waiting for the full benefit to be available; it’ll be ready from the very first day. Critical Illness Rider – With the term life policy, you won’t have to pay a penny extra and your policy will come with the Critical Illness rider which means you’ll receive help if you come down with a critical illness. For many, they get confused between the Critical Illness rider and the Terminal Illness rider; in the latter, you need to prove that you have months to live before funds are freed for you to use. Accidental Death Benefit – If you want to protect yourself from accident death, the Accidental Death Benefit will add $10,000 to your coverage for an extra fee per month. With accidental deaths occurring every day, this rider may require you to pay more money but it will provide you and your family with peace of mind. Accelerated Living Benefits – Finally, this rider allows you access to a percentage of your benefit after being diagnosed with a serious health issue. Depending on the extent of the health issue, the percentage you receive will vary but this can be incredibly helpful so you don’t have to take from your retirement fund or even a loan. Standard Life is one of many companies in the marketplace. The key to finding the right company and policy is to first, understand what you need, based on your goals and objectives. Second, align your needs with the company that offers the most competitive pricing and policy. At TermLife2Go, we work with dozens of top rated carriers offering many different policies and riders. We can help you tailor the most appropriate coverage based on what you need. Please call one of our licensed agents at (888) 234-8376 to discuss this in greater detail. Thank you.